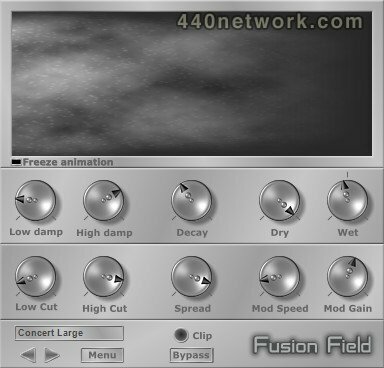 Fusion Field is an easy to use diffusion reverb that QuikQuak has created in response to requests for a RaySpace 'light' and a version of Glass Viper's own diffusion reverb. - A clean stereo reverb, with an even decay. - High quality standards, with low CPU resources. - Fast editing, for that quick grab effect. - A single impulse source quickly gathers a complex diffusion. - Intuitively linked Decay and Spread dials. - Clear reflected sound, with a fast diffusion build up. - Great for adding sheen to vocals, strings and ambiences. - Plain visual feedback of filters. 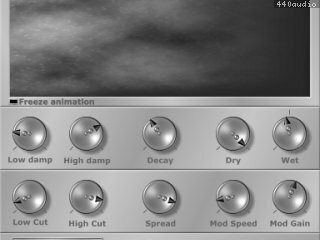 - Completely reworked and enhanced diffusion reverb, based on RaySpace and Glass Viper. Fixed stuttering output in some hosts. * Up to 3X faster, with multi-threaded processing. * Free for all registered users. * Restored compatibility with OS 10.5. * Stereo cross feed system for altering output mixes. more open and realistic reverb. * CPU optimisations and overall audio rendering performance increase on Macs. * No more waiting for reverb construction. * Audio parameter editing while 'Logic Pro' is in zero processing mode. * Stereo level metering, and parameter value display. * New filtered white-noise contruction for perfect diffusion at any sample rate. * All tradiional comb and all-pass filters removed for perfect artefact free reverb. * Editable attack and decay curves for more control. * 'Dry' on/off settings option for easy side-chain browsing of presets. * Better bass diffusion to remove repetitive lower frequency issues. * Extra diffusion filters added for increased stereo dispersion. * Greatly increased diffusion when using short Spread values. * A smoother, more realistic attack phase for the Distance parameter. spaces, or tight metallic boxes. * New GUI design, with an optimised animated display. * All aspects of the filtering, Decay, Spread and Distance parameters are now shown on the main display. Using a cloud representation of time and frequency energy, to give an instant visual interpretation. You'll know what it sounds like directly from this impression. * Total of 48 modulators now include randomised LFOs for extra decorrelation. * Algorithm optimisations to allow for these additional features, keeping CPU resources as low as possible. * Re-balanced to fix the channel bias problem. * A new set of presets. Notes: Having additional algorithm features meant that the whole system had to be retuned. All dials keep the same ratios and times, so it is compatible with the previous version and saved presets. Previous users will notice the filter dials have been arranged in clearer high and low sections. * Approx. 30% more efficient, almost back to the speed of version 1.0! * CPU spikes with certain parameter changes fixed. * Doubled and cascaded modulators for a more natural sound. Initial transients smoothed, improving percussion and short diffusions. New distance parameter with realistic attack phase. Enhancements resulting from hundreds of hours in constant revision.
" Latence nulle " ??! !